Let’s not poison our teachers! We’re vicariously finishing school here at Queen B… Sarah’s daughter writes her last HSC exam today and I have to say I think we’ve all handled it magnificently! In amongst the exam study, “we’ve” (I use the term loosely as my role is just to listen to Sar) been getting everything ready for the Year 12 formal (we’re the organising committee 🙂 and we’ve got our Teacher’s gifts sorted. So why this blog post if the gifts are already done? Well, I’m reliably informed that our teachers receive A LOT of scented candles as gifts from students and if I was a teacher I would be deeply affronted were I to receive a candle other than a pure beeswax candle. Plus not everyone is finishing their HSC TODAY (did I mention “we” are… forEVER!!!!) and so I’m sure there are some of you that still have that quandary on the to-do list. So, we put our thinking caps on – “If I was a teacher and I was to receive a gift, I’d love…” and “If I was a parent and I seemed to have a million children with a million different teachers and I want a million dollar gift that doesn’t cost the earth…” and we’ve come up with a few cracking ideas and offers so that we can all just finish school in style. Not only are these candleholders made in France (where La Rochere have made their glassware since 1476), but the dragonfly has a lovely spiritual significance. We’ve teamed with up with a lovely little box of bee created light (a box of 4-5hr tealights in clear cups) and applied a discount of around 10% so the pack is selling for $24.95. Again this holder is made in France but the other lovely thing is the pattern of light created by the rings in this holder… it casts a beautiful pattern on a table (when sitting alone) or on the wall (if sitting up against a wall). You’re going to have to trust us on this because my photography skills are limited at best. Again, we’ve teamed it up with a pack of tealights so that it’s a gift ready to use immediately and we’ve taken into account the ‘million teachers and million children’ issue that us parents have and we’ve discounted the pack to $24.95 (around 10% off). Always a favourite in our range of hand rolled, individually painted pillar candles is the Renaissance design… the writing ‘Aliis Volat Propris” is a latin expression meaning “I fly with my own wings”. How beautiful is that? Seriously, if you were making a candle with a teacher in mind you’d be hard pressed to find a more perfect sentiment… thanks for the learnings teacher and with that, I’ll fly with my own wings. As we’re a little delirious (and this is Sarah’s favourite), she’s decided that instead of being $34.95 and coming in the cardboard wrap packaging, we’re going to put them in a sinamay gift bag, offer them at $29.95 AND throw in a gift card (“A little bit of light” unless you specify otherwise in the comments on checkout). Lucky we’re only doing our HSC occasionally around here or we’d be in trouble. Again you’ve got Sar to thank for this one. We phased Phoenix out a couple of years ago to make way for Pollen, but it was always one of our most popular designs and as we were making some for our teacher’s gifts, we made a few extra’s. We’ve discounted these to $39.95 so they’re for an extra-special-teacher. We’re also throwing in the “A little bit of light” gift card so everything is taken care of. I’m thinking this is going to be a wonderful year for teachers this year. Whilst I know we all want our child to give the gift that stands out, I think that given the consequences of keeping these offers a secret, it would be great for teachers Australia wide (and our beekeepers, and the French glass makers) if you could also spread the word. 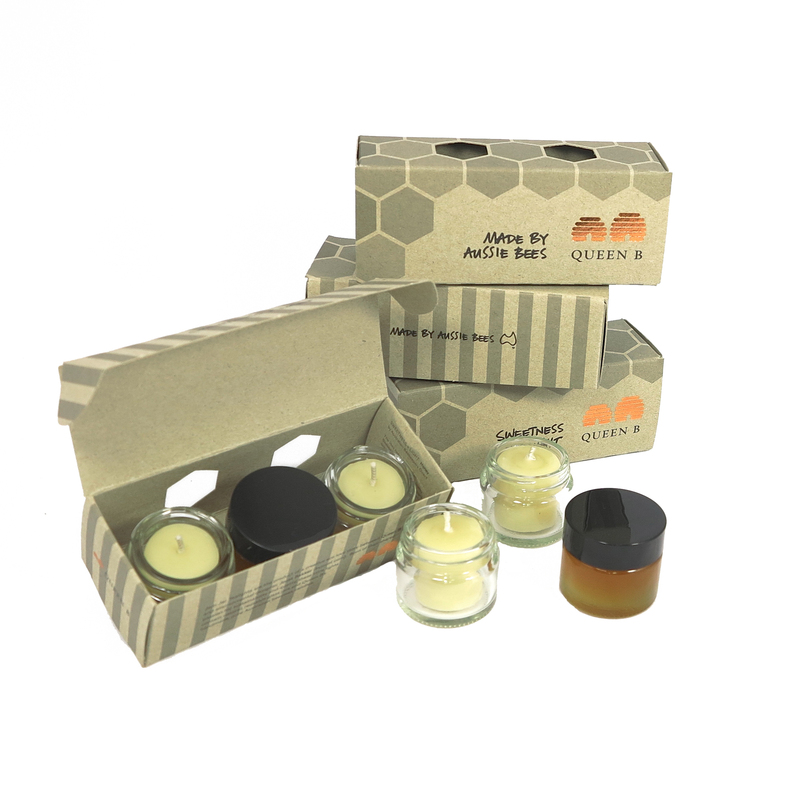 We’re often asked if Queen B candles are organic beeswax candles and the answer is a most certainly yes. 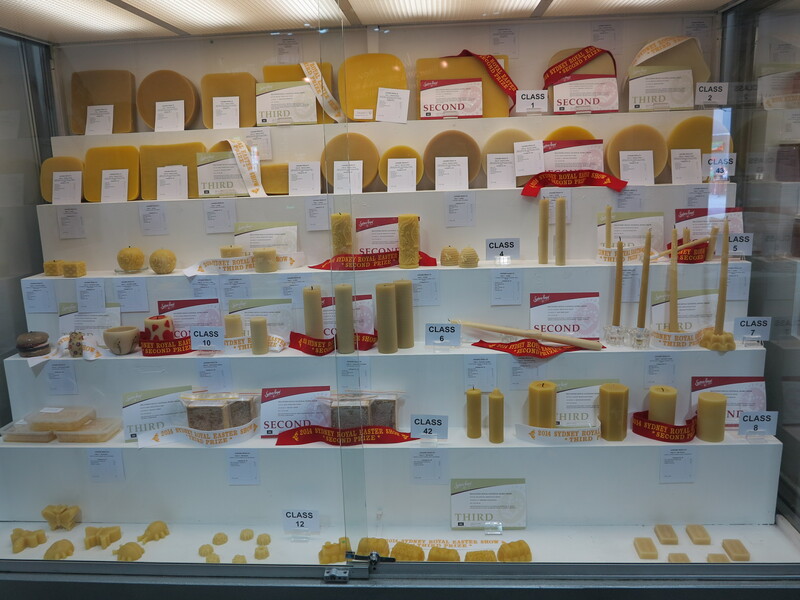 By definition, beeswax is a biological or organic matter. 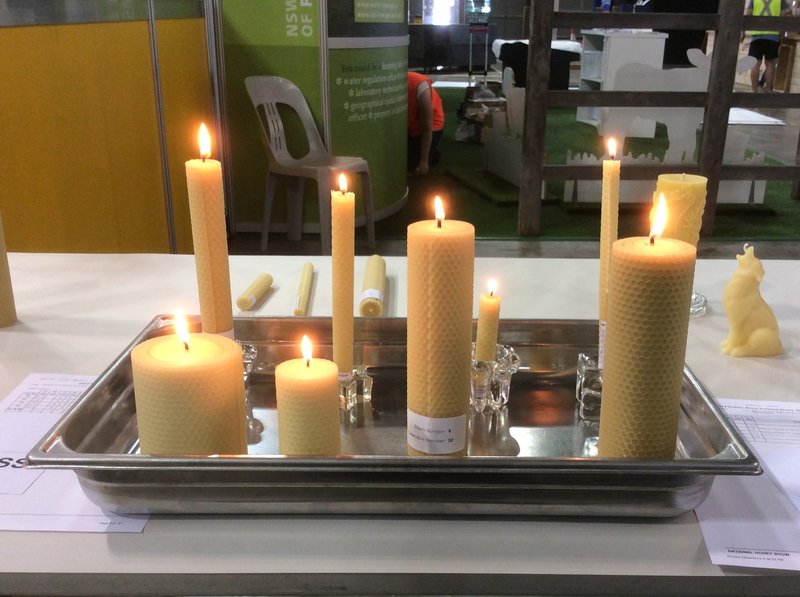 Given Queen B candle only contain 100% pure Australian beeswax and a cotton wick, you can be comfortable burning our organic beeswax tealight candles, organic beeswax dinner candles, organic beeswax votive candles, organic pillar candles etc etc. You get the picture. 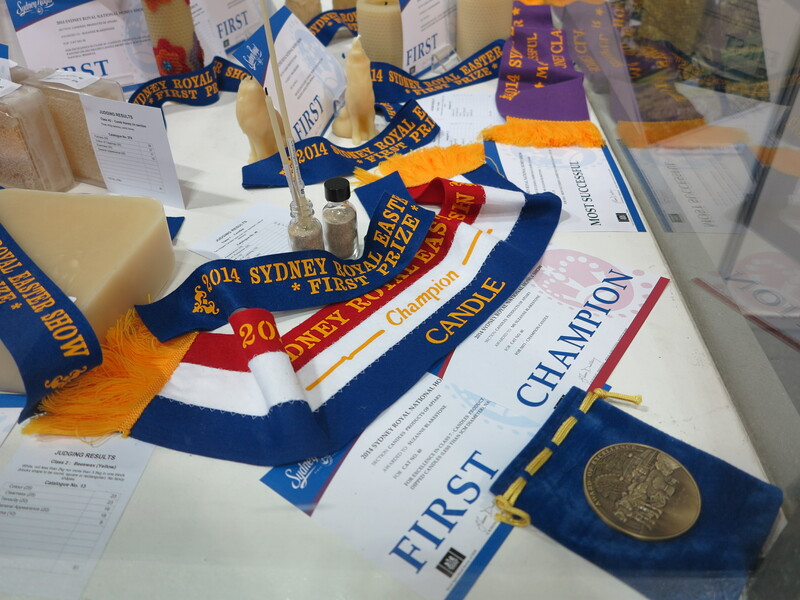 Then there is a question about certified organic beeswax candles and Queen B candles are not certified organic. 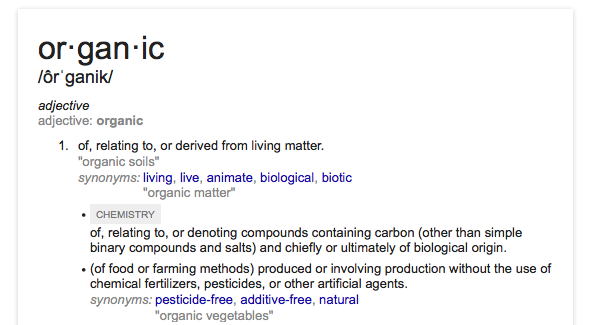 We know of others in the industry claiming certified organic without certification but that’s not how we roll. So, why aren’t we certified? Because our beeswax isn’t certified organic. 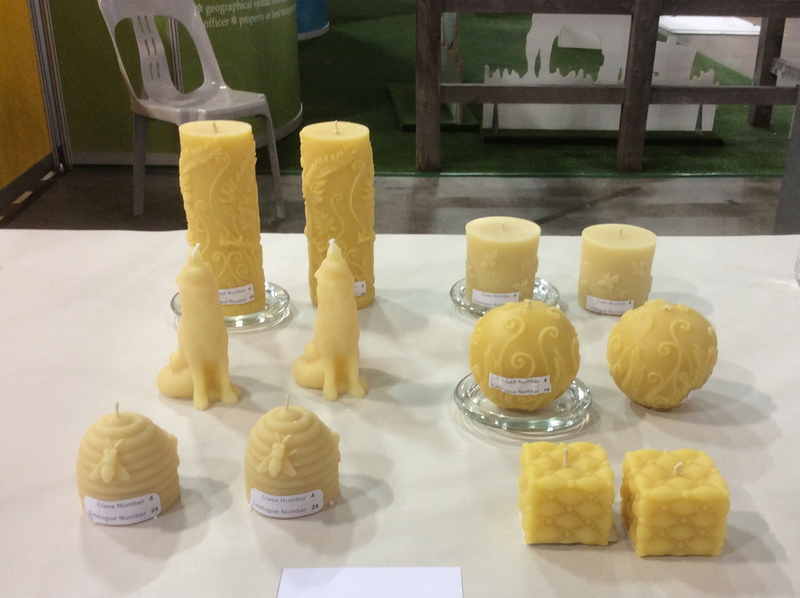 And why aren’t we buying certified organic beeswax? Because you won’t find a third or fourth generation beekeeper who is certified because they know that as it relates to beeswax and honey, the certification is a marketing exercise, it is not relevant to the way you keep bees (and their universal feedback to me when I’ve asked is that they don’t see the point in spending the almost $100,000 it would cost when it doesn’t make one iota of difference to the way they keep their bees or the honey they produce). For instance, bees will fly 7 – 10km’s in search of nectar (the distance depending on what source you believe!) but organic certification for bees/honey is that your hives have to be 5km’s from the nearest chemically sprayed field or industry. So, you could place your bees, 5.1km’s from a chemically sprayed field and still have certified organic honey. Queen B is ultimately about truth and integrity. It is more important to me to know that the wax that we source is from well cared for bees (ie from beekeepers that are second, third, fourth generation) than to buy ‘certified organic’ beeswax. The bottom line is that you can trust a Queen B candle by the claims we DON’T make. 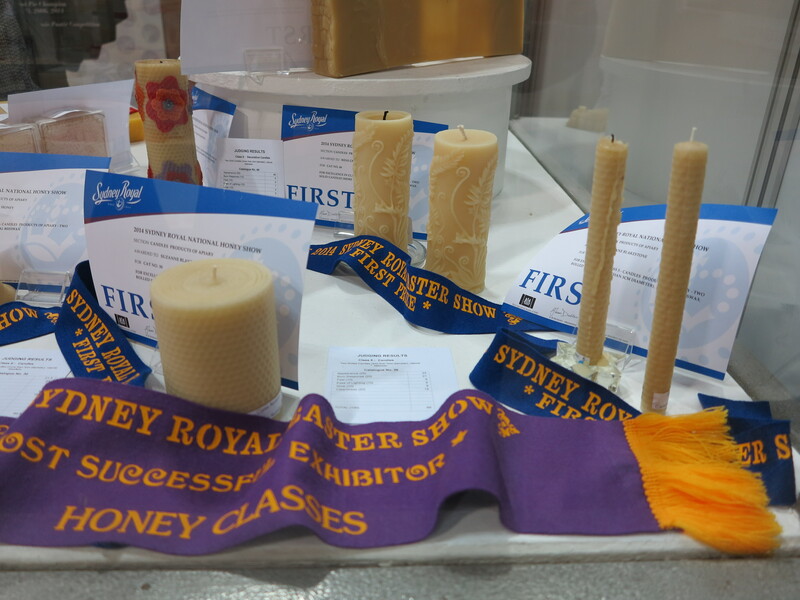 And when you come across something that looks a little too good to be true (ie ‘certified’ organic beeswax candles with no certification logo (and no certification) that are cheaper than Queen B candles) then trust your intuition, or if you’re still in doubt, ask to see the certification. The other interesting thing (because knowledge is power!) 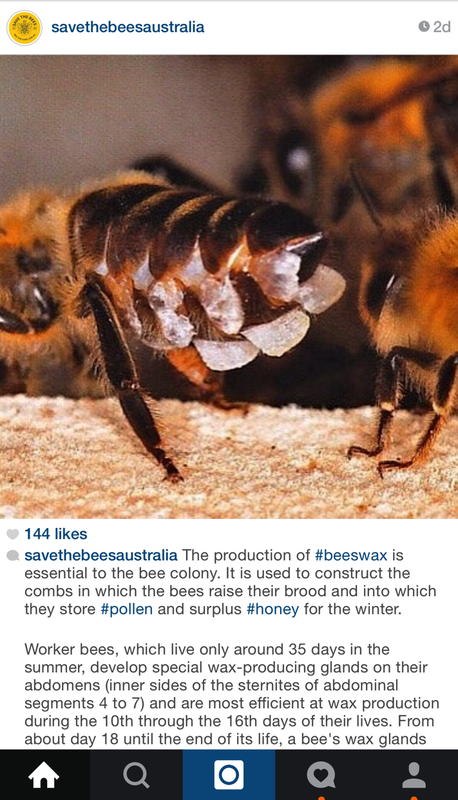 is that the major reason why the cost of Australian beeswax has increased 85% in the last 12 months and that is because as the only country without the varroa mite, our beeswax is the only beeswax in the world that is naturally free from miticides (chemicals used to control & kill the varroa mite). 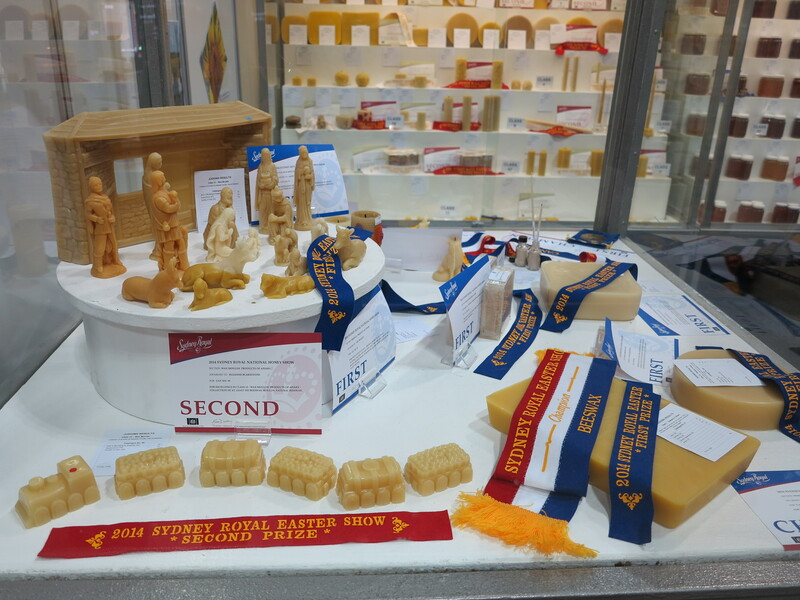 We’re exporting the vast majority of Australian beeswax at the moment to the global pharmaceutical and cosmetics giants… great for Australian beekeepers, not so great for us! Great for you to know that we’re making your candles with miticide free wax and that we’re lucky to have had relationships with our beekeepers for over a decade which is the only way we’ve been able to get our hands on wax. 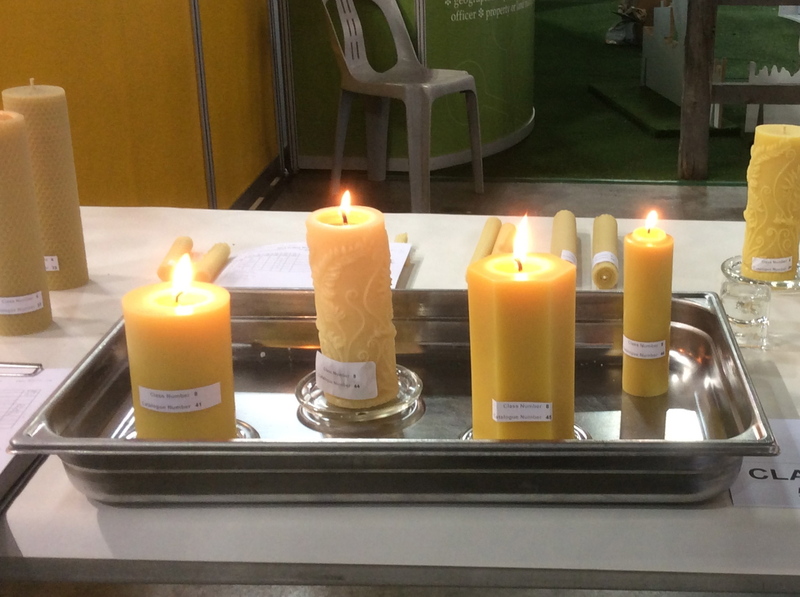 Ultimately a natural beeswax candle is always going to be far safer to burn from a health perspective than a petrochemical byproduct (paraffin wax) or a chemically bleached, heavy metal hydrogenated oil (soy wax). Mother nature has always been pretty clever in providing us with what we need without us needing to change it. Seriously, how would you think of a flying insect that would collect flower nectar (pollinating the flowers as she goes) and then extrude wax from wax glands on her stomach?! 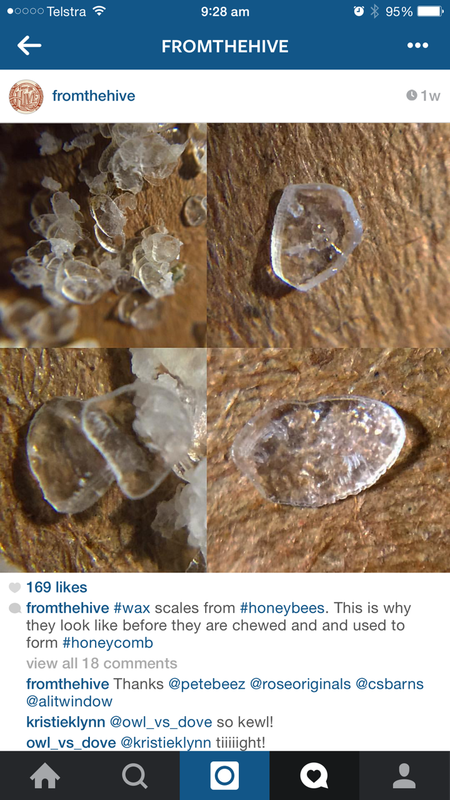 There’s about ten new facts of the day for you!… you can go to bed and light an organic beeswax candle from Queen B! So, why then write a post about more “stuff”. Well because we’re heading into giving season and if you’re going to give stuff then it would be remiss of me not to tell you about gifts that are useful, beautiful and sustainable. A gift that keeps on giving – to our farmers & beekeepers, to the jobs it creates at our hive, to our local packaging manufacturers and suppliers. A gift that recognises that your staff work hard and they also need to relax hard. A few months ago we were tasked by long term client, Buzz Strategic Concepts, to put together a little ‘just because’ gift for their clients. Not for Christmas. Not for any particular reason. Just a random act of kindness and gratitude gift. They sent us personalised cards to go with each gift and we did all the logistics for them. Bravo! 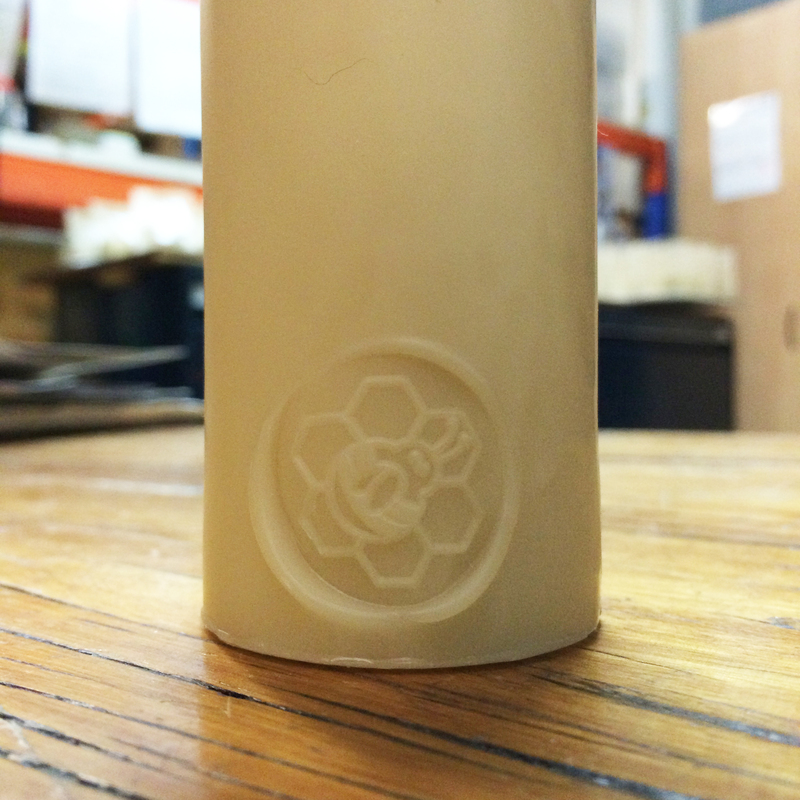 And to make sure the gift went the extra mile, we put their brand on the candle – subtle but effective. Every time their client looks at or fires up this little beauty (and if you know your Queen B candles you’ll know that that will be a whole lot of times over a whole long period of time!) lovely, sweet, positive, appreciative thoughts flying your way! And we do smaller gifts too… this one coming in under $15. If you’re looking for ideas, send us an email or give us a buzz, we’d be only too happy to help you out. You may have noticed I’ve been a little quiet of late… I was busy living one of my dreams! As someone who is passionate about taking the best of what nature has to offer and then perfecting the craft of utilising it, I have long been a fan of Dom Perignon. In this day and age of mechanisation and the mass production of everything, I love it on that rare occasion where tradition (and the recognition that often hand made is simply better) prevails – and Dom Perignon is one of those rare examples… the grapes picked by hand. The bottles riddled by hand. You may recall, because I blogged about it here, that a couple of years ago I did a light sculpture for Dom Perignon at Vue de Monde. 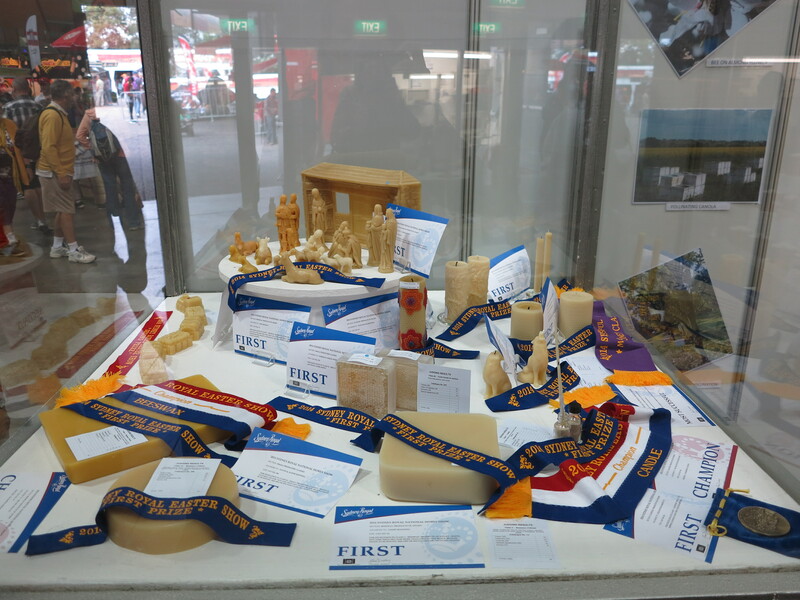 Researching for the sculpture I was fascinated by the long history of monks keeping bees with Dom Pierre Perignon a monk of the Benedictine order (DOM = Deus Optimus Maximus – the highest ‘rank’ of monk) and their history with making beeswax candles. The sculpture itself is not a candle but utilises the translucent beauty of beeswax whilst celebrating the iconic Dom Perignon bottle. Anyway, finally this year I fulfilled my dream of visiting the abbey where Dom Perignon lived (and the caves where Dom Perignon is now made and matured). As it turns out, Rocco (Wine Director at Vue de Monde) told them I was someone important and I was given the royal, VIP treatment. 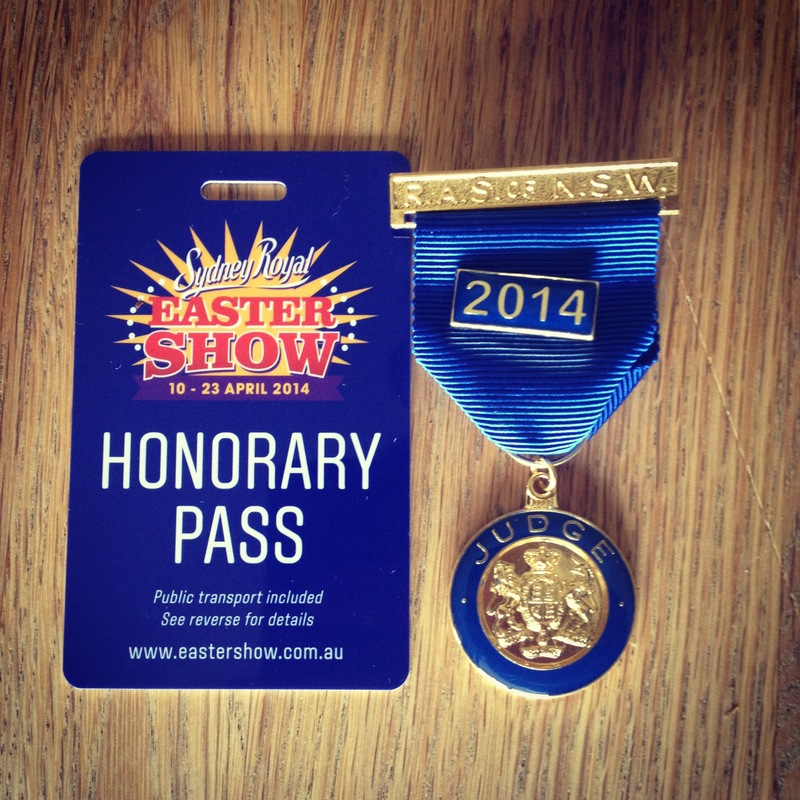 A more worthy person would just take in their stride… I kept on pinching myself! Wanting to share it, I felt that the images alone were too static and didn’t do it justice, so I put this little something together… escape to the Champagne region in France even if it is only for a couple of minutes. Goodness knows I’ve relived it many times in the past few weeks. One of our greatest challenges has always been to create beautiful gifts for the ≤ $15.00 price point… something that packs a powerful gift punch without putting too much of a strain on your wallet. It’s the perfect sustainable corporate staff or client gift. And (without wanting to appear to have tickets on our hive), I think we’ve nailed it! I am deliriously excited to announce our newest product in the Queen B range… Sweetness & Light. 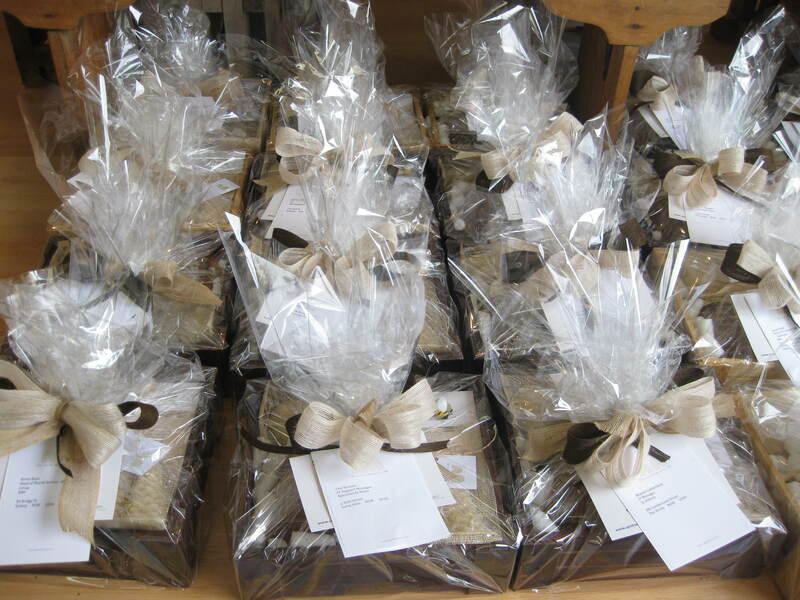 Each box contains 2 x Jam Jar Tealights + 1 jar of Australian honey (our current batch is yellow box honey). Sweetness and Light – beautiful no matter what angle you look at it from! For 24 hours only (ie for our most engaged followers) for every 4 Sweetness & Lights you order, we’ll send you a 5th one for free. Offer expires 12.30pm 6th November 2013. To qualify you must write “Thank goodness for bees” in the comments field! Not on an email later. Not when you get your order. Not over the phone. You must write it in the comments field when you order!! PS If you work in a business, can you also please tell your boss about this amazing little gift! Somewhere, and I have no idea where, I have a reference for the scientific literature upon which this claim is based. When I first put a website up for Queen B (which is over a decade ago now) every single claim and statement was fact checked be me. Those fact checking references were duly recorded somewhere clever about 7 laptop computers ago and for the life of me I can’t find where it is. And, if you google it, you really just find lots of beeswax candle website all making the same claims and all quoting one another or, quoting some random health blog with zero scientific validity. The theory goes like this: dust, pollen, pollution, viruses, smoke, germs, aromas etc are all positively charged ions that float in the air (because they are lighter than air). 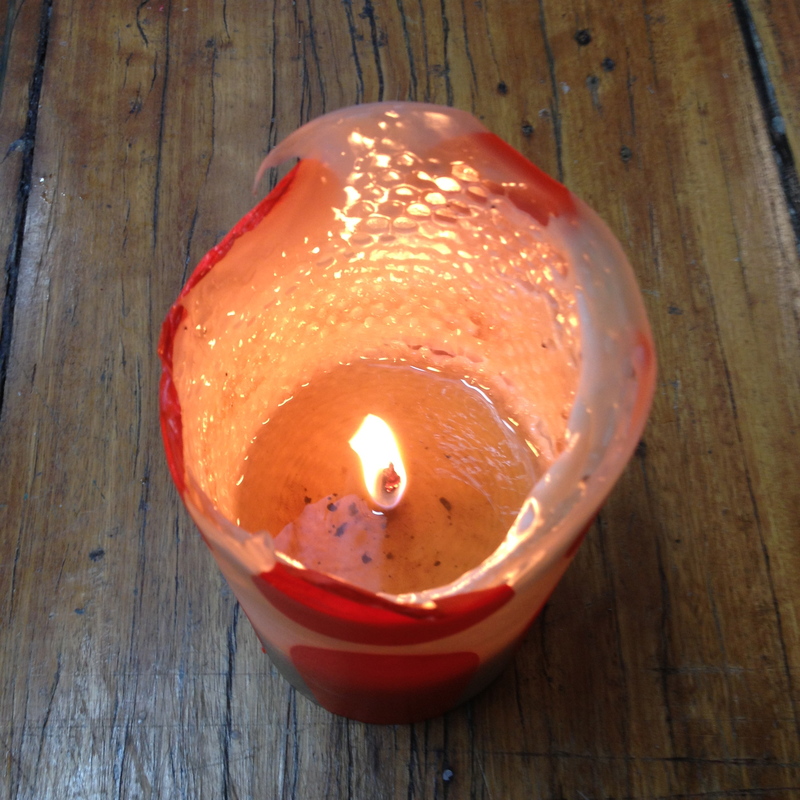 A beeswax candle when it is burning emits negative ions (as does a waterfall, or those ionisers that you plug into a wall or himalayan salt crystal lamps are also said to, but I haven’t done that research). 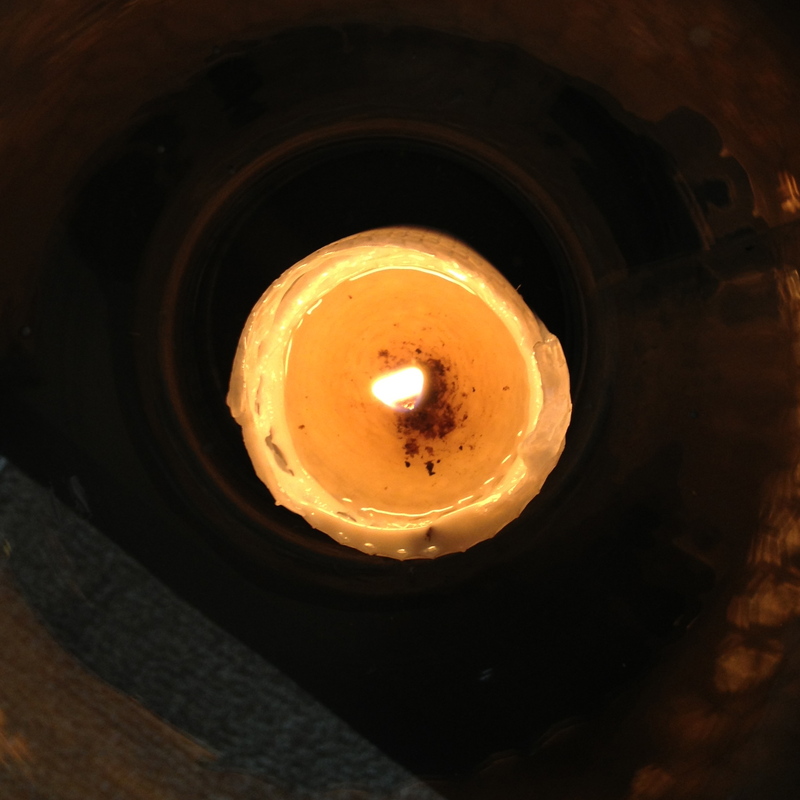 The negative ions emitted by the candle attach to the positive ions floating in the air and that forms an atom which is heavier than air and thus drops to the ground or, if it is close enough to the candle, is drawn into the pool of wax. I personally think that a picture speaks a thousand words so here are just a few from my candles that I burn at home. 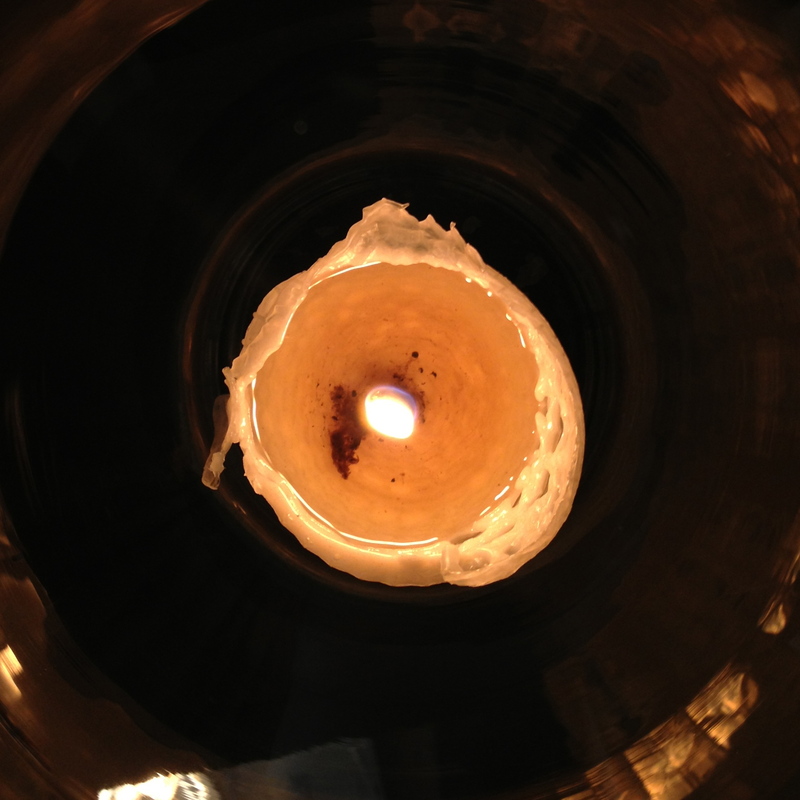 Sometimes the top of the wick will look “dead” (see photograph below)… that is where the dirt is trapped and that is why we always say that you MUST trim the wick of your candle whenever you go to relight it. It is trimming off the ‘dead’ part of the wick. Lock that one into your memory bank… it’s critical. Sometimes the dirt may gather around the base of the wick and when you go to relight your candle you will have trouble relighting it. 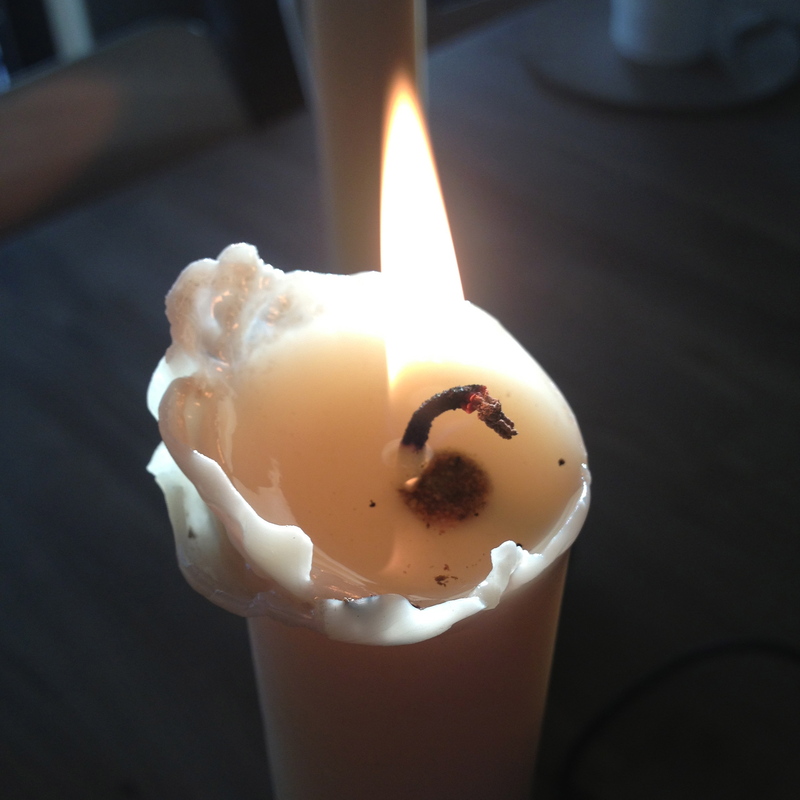 This is a basic physics problem – if the dirt is stopping the wick from drawing the wax (it’s fuel source) then the candle won’t light properly and will go out. 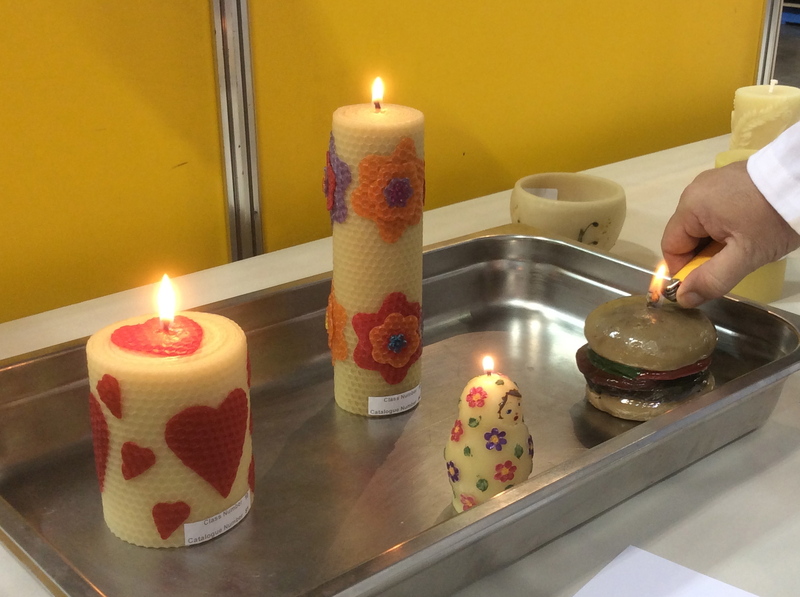 The solution: when you light the candle, hold the flame of the lighter or the match to the base of the wick until you can see that the wax changes colour and starts to melt… that shifts the dirt clogging the wick and allows the wick to draw fuel.Beeswax candles are exceptionally clever, the candle will work it out from that point on, you just need to give it it’s fuel source. I generally don’t suggest tipping out the wax (because you’re tipping out hours of candlelight)… the candle will work it out. In the photo below you can see both the ‘dead’ top of the wick and the dirt gathered at the base of the wick.